In 2019, we introduced practice areas into the design organization at Automattic. We have three practice areas — Product Experience, Creative Technology, and Emotional Design — and each one is intended to create a community of designers who can develop consistent processes and approaches, as well as learn from one another to develop in their careers. 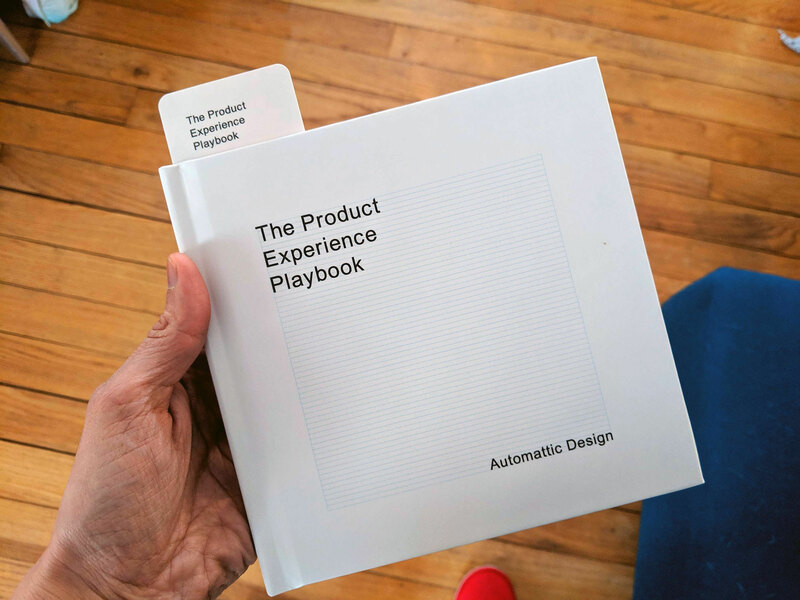 As head of the Product Experience practice, I created our playbook, which is meant to act as a guide for Automattic product designers. It covers key principles around product design, design process, user research, collaboration, innovation, and our design system. Since we have a rich culture of internal documentation and reflection at Automattic, I drew upon writing from our design team as a resource for synthesizing best practices, in addition to my own perspectives.